Diabetic? Has diabetes? It's all in a word(s). S'up?! I recently attended my school district's Appreciation Evening as an award recipient for 20 years of teaching. It's cliche to say that "time flies" but in this case, it is hard to believe I have been teaching for 2 decades. The realm of education is unique because educators are required by our state education departments to receive certain levels of education in specific amounts of time. Teachers never stop learning. 20 years of education have earned me Bachelor's Degrees in Early Childhood Education, Elementary Education, Health Education and Physical Education. Also, a Master's Degree in Elementary Education and most recently, National Board Certification. Geesh. This mama knows some stuff. "You ARE NOT third grade teachers, you ARE teachers of students in third grade." As an educator of 20 years, this has been the way I communicate. Even when I refer to people who have diabetes (SEE WHAT I DID THERE?!) I honor the person first. But, when it comes to me, I don't mind. Yes, I am a person who has diabetes. Therefore, I am a diabetic. Looking in the proverbial mirror, I realize I am diabetic. I am a diabetic. I am not sure if there is even supposed to be an "a" in that sentence. My point is this...I am respectful and empathetic to others. But when it comes to my personal life, I would rather spend the time and energy on living my life in a healthy and happy way. Does this make me insensitive? Absolutely not. I am a "fixer" and choose to spend the energy on being happy. 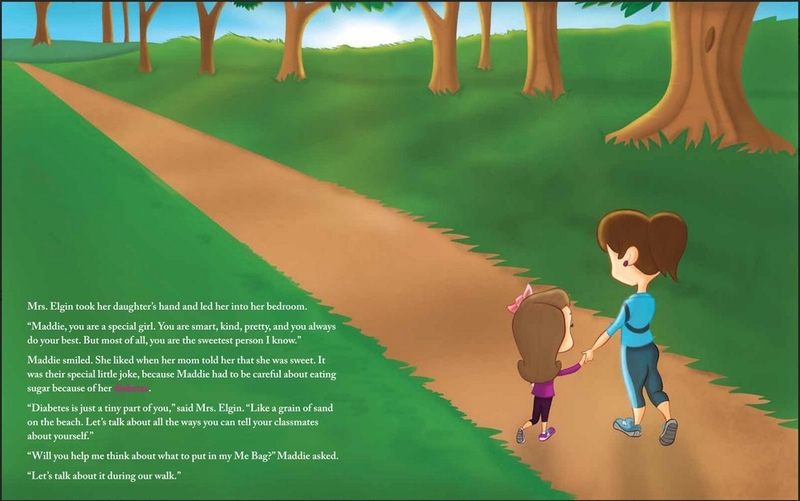 In Maddie's Me Bag, my published book about diabetes, I was careful to not call Maddie a diabetic. Instead, I referred to her as having diabetes. This was important to me as the book's mission is to prove that diabetes does NOT define who Maddie is! You get the point. Word.